Because home buying is a thrilling experience where you can get drowned in new vocabularies, stressed by negotiations, and pre-occupied by fear of not getting your dream home, it is easy to miss a couple of things when inspecting homes for sale in Carillon Lakes Community. May the following list remind you of what you ought to pay attention to when house hunting, even before home inspection reports arrive. You don’t need to find something with an award winning landscape. You just have to check if the curb of the home you are about to purchase can be transformed with a few simple makeovers. The outside is what people see first. So if you plan to have a home which would invite many potential buyers in the future, invest in something that could be just that given a little work. Structural issues might be one of the most expensive to deal with later on. No matter how pretty and cozy it looks, never be fooled by a home with faulty foundation. Also, inspect the roofs and the electrical and water systems as these are essential in your stay and can instantly cause danger when left unchecked. A home must be a place of comfort. Check the heating and cooling system of your target Carillon Lakes homes for sale so you can be aware of any need for repair as early as now. This is especially important when you are buying a move in ready home and you need to move in soon. When we talk about the neighborhood, we don’t just notice the houses along the streets or our neighbors. We take into account if it is properly maintained, if there are many teenagers out at night, if there are a lot of establishments, if it is within the school district, if medical facilities are near and if parks and leisure places are available. These are not just vital for you when you move in. These things also contribute to the resale value of your home should you decide to move out. 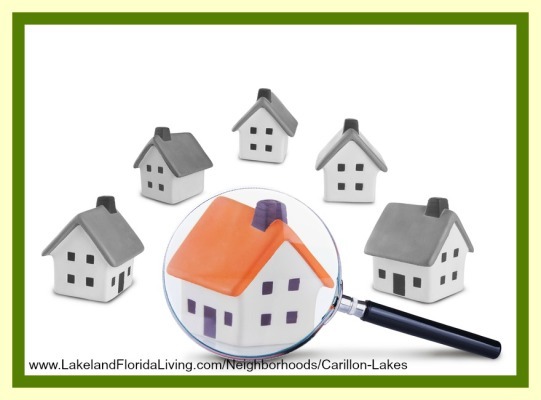 Making sure that you thoroughly check homes for sale in Carillon Lakes Community is important because apart from getting something worth the huge amount of money you will invest, you will also have to look further in the future and somehow analyze if your purchase has a good resale value. Get the opinion of a local agent to help you become more confident in inspecting the home. Also, visit http://www.LakelandFloridaLiving.com/ for more home buying tips.